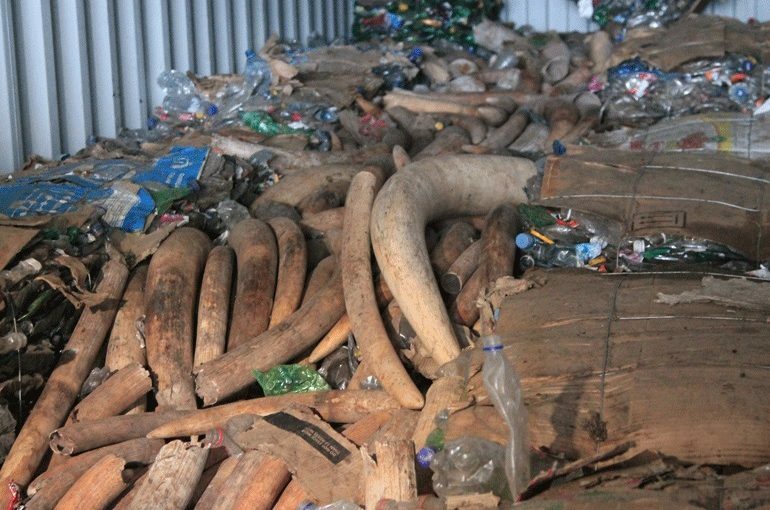 Some of the three tonnes of ivory seized last month at Maputo Port was stolen from the provincial warehouses of The Ministry of Land, Environment and Rural Development (MITADER) and the Criminal Investigation Service (SERNIC), both in the city of Lichinga, Niassa. The report drawn up by the National Administration of Conservation Areas (ANAC) on the product seized on April 12 by the Tax Authority indicates that 813 kilograms of the ivory in question was stolen from the warehouses between April 2016 and April 2017. According to the experts, the ivory comes from various districts of Niassa province – Majune and Maúa in particular, the tusks being identified with the names of the respective districts. The unidentified part of last April’s ivory haul is probably from other parts of Niassa, or from Gaza and Maputo provinces. The ANAC reports deduces, from the quantity (867 pieces) and total weight (3,354.2 kg) over ivory seized, that some 400 animals must have died in order to furnish it. Only about 10 percent of the haul consisted of off-cuts.